I am so excited to show you all the pictures of Julia's 7th 'Rocker Girl' Birthday Party. 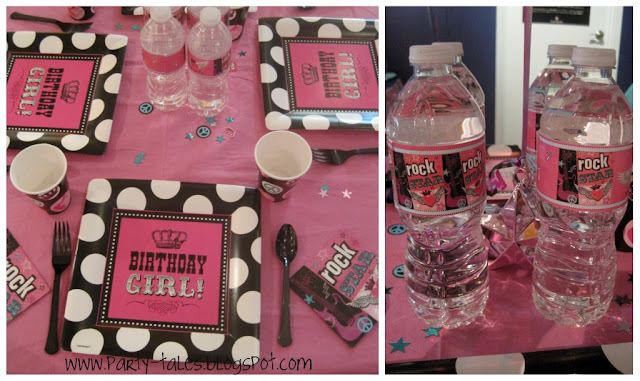 I had so much fun planning all the details for this party and I love how everything turned out! 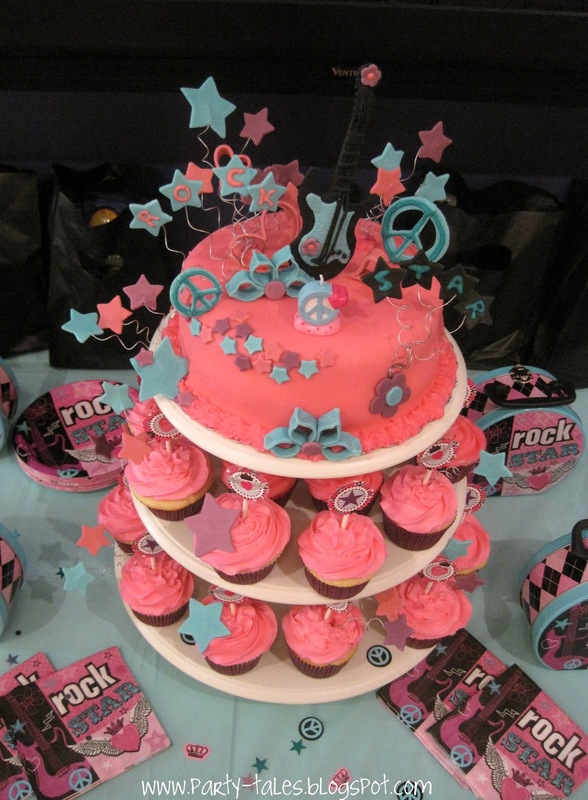 I made the cake and cupcakes to match the 'Rocker Princess' theme and I love how they turned out. 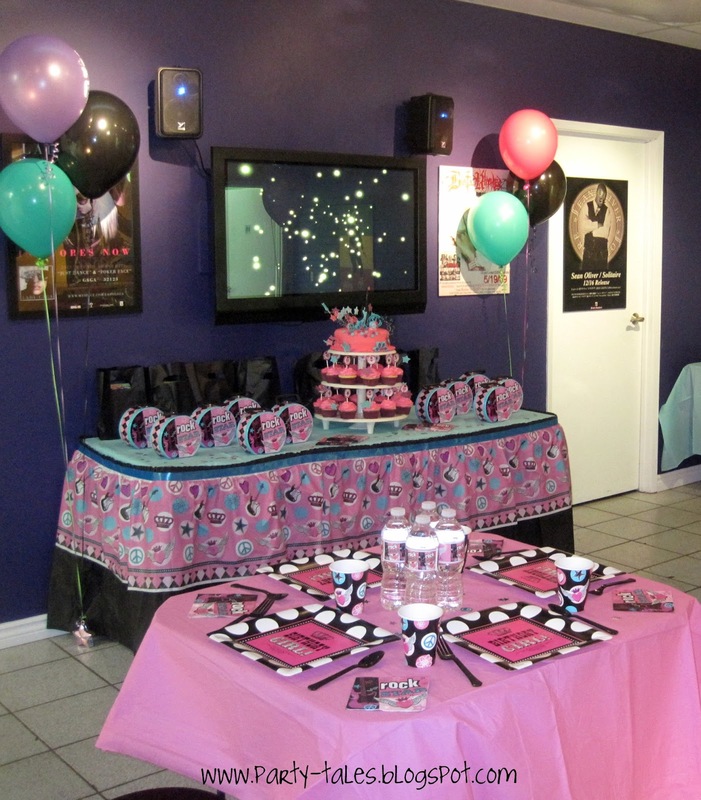 I used my Towering Tiers Cake Stand from Wilton to display. I love this look! I also designed matching cupcake toppers and water bottle labels. 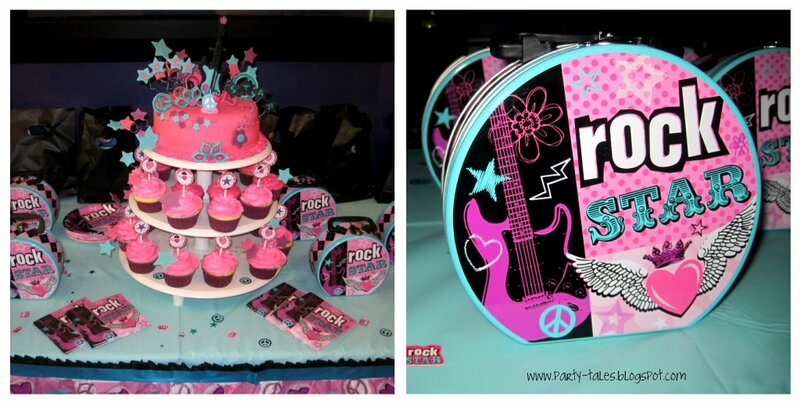 These metal lunch boxes were the perfect party favors. So cute! 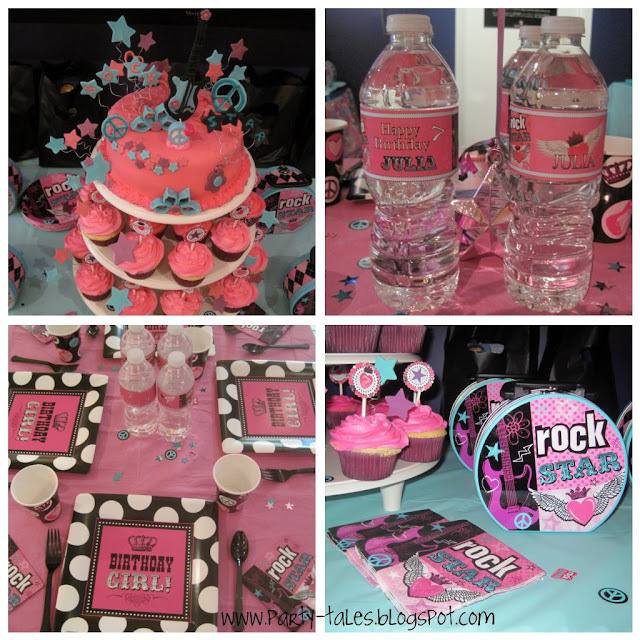 Rocker Princess Party Supplies can be purchased at Birthday Express. The 'Rocker Girl' printable collection is now available at my Etsy shop. I love the cake!! 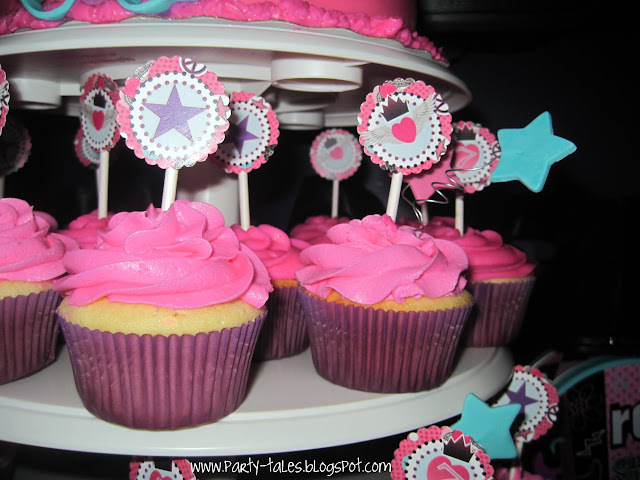 Did you use fondant for the stars? Hi Lindsay, Thanks so much!! Yes I use a mix of fondant and gum paste. That centerpiece is absolutely STUNNING!!! LOVE the colors too!! 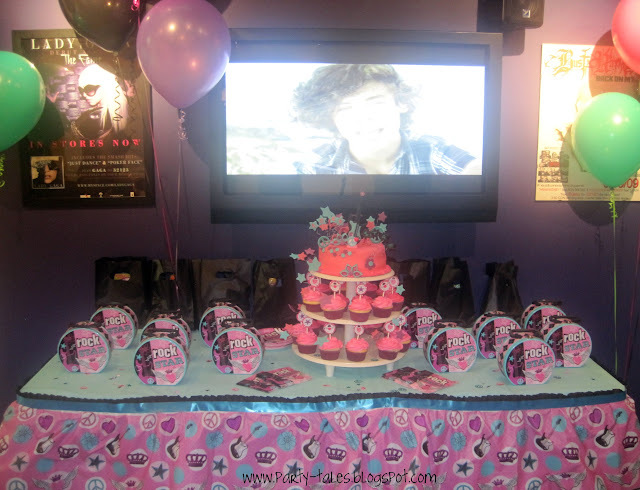 the person on the tv is harry styles im pretty sure but this is a great idea for a party! ~ Party Trend ~ Cake POPS! 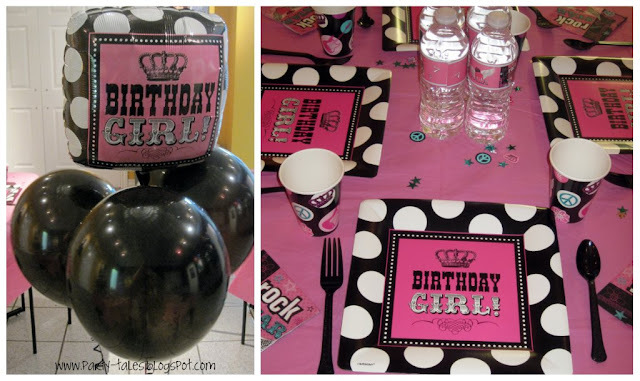 Copyright 2011 @ www.party-tales.blogspost.com. All Rights Reserved. Simple theme. Powered by Blogger.